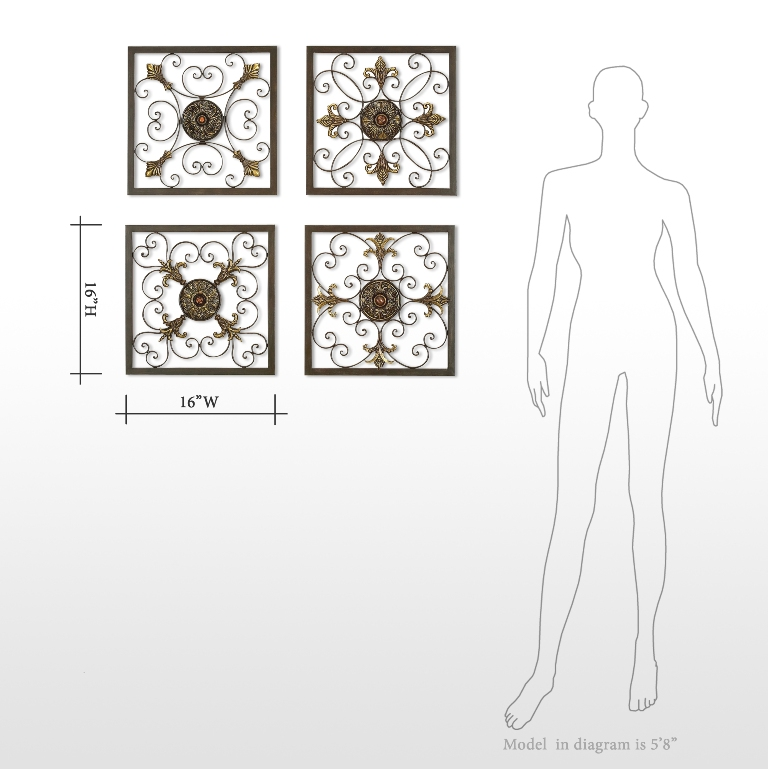 Tuscan style is in big demand in today’s modern home, and you can add it by the measure when hanging these attractively crafted Tuscan Grilles Metal Wall Panels. 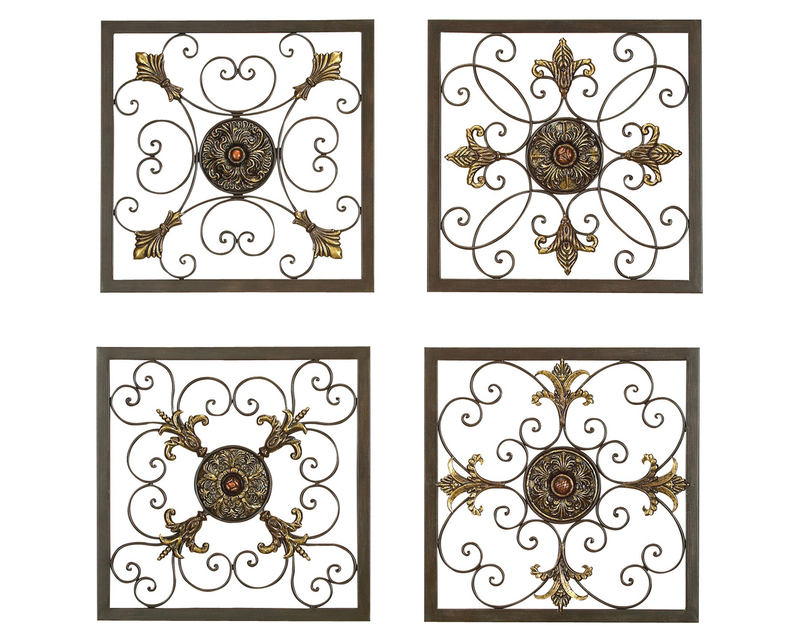 Set of four attention-grabbing panels provide the ultimate traditional Tuscan look for your interior, and are rendered in neutral shades of brown with lively accents and intricately formed scroll work. 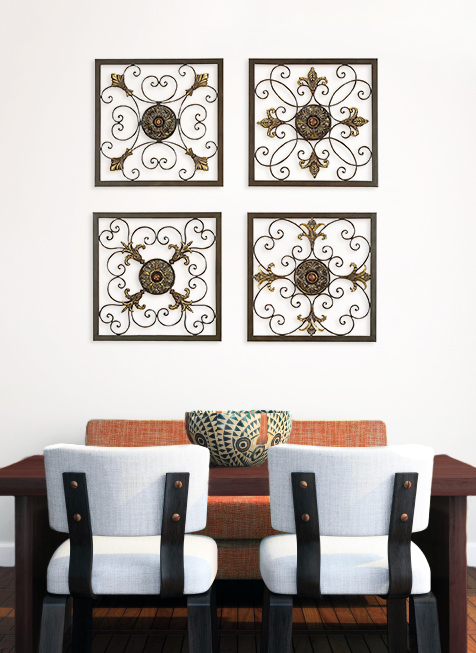 Hang this quad of four panels side by side, in a vertical line, or horizontally to instill a visual impact in any room of the home, including the den, family room, bedroom, or foyer. 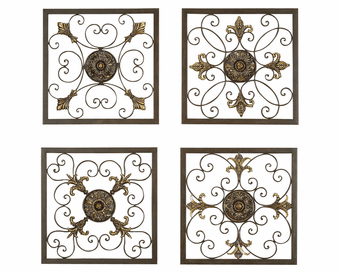 Lend exceptional zest to any area with the nectar of the vine wall plaque or the wine corkscrew wall hanging to heighten the atmosphere and accentuate your decor motif. 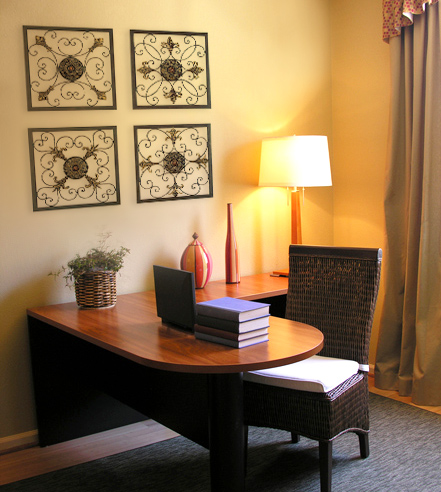 Seeking the ideal accent to bring excitement to some other area? 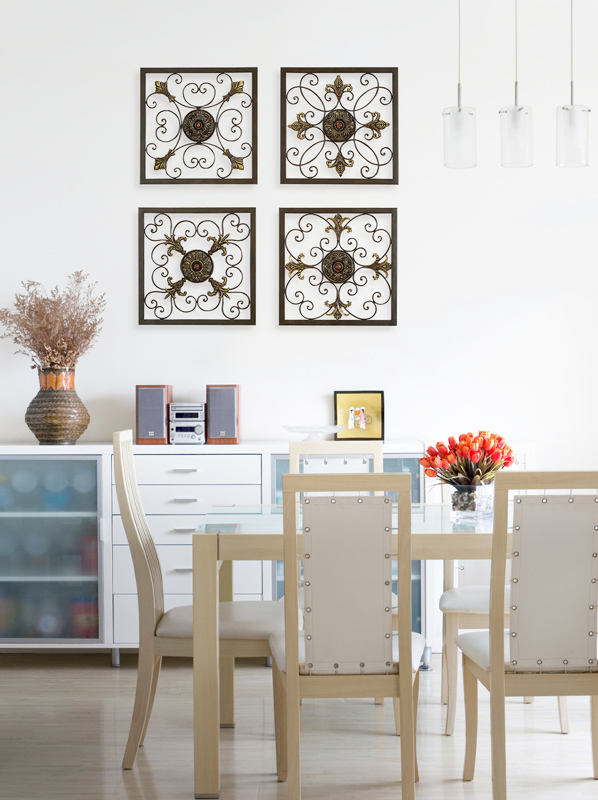 Try our kitchen wall art collection!